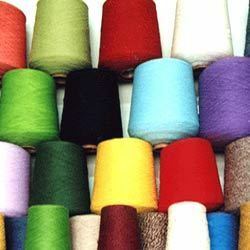 Our company offers an extensive range of Industrial Yarns at affordable prices. We manufacture industrial yarns, carpet yarns and high strength carpet yarns for handicraft and machine made garments. Our extensive range is made of cotton and blended polyester materials. Some important features of our range are even surface coating, kinks and curl free finishings. We manufacture and supply superior quality, curl free and cost effective Carpet Yarn. Our fabric yarn is made is used in manufacturing of hand made as well as machine made carpets. We offer customized industrial yarns for manufacturing of carpets having weights of 50kgs and above. The yarn product of our company is appreciated by the clients for balanced twists and curl free finishing. We offer the product in natural white and fast color to suit the requirements of our various clients.